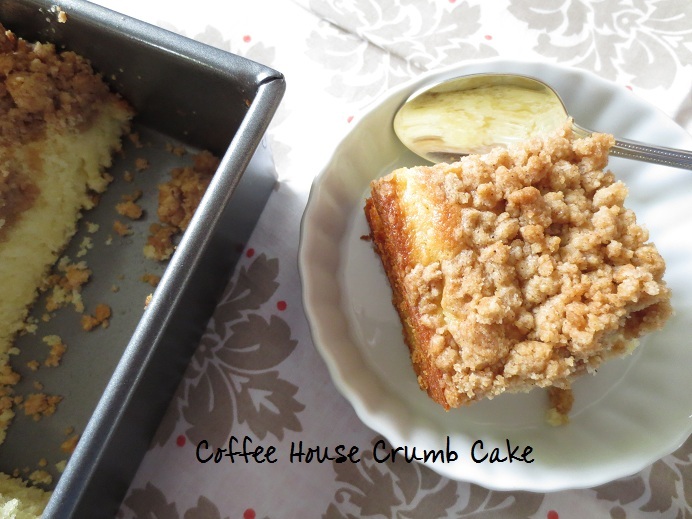 Crumb cake has always held a place in my heart, but though I’ve tried, I have never been able to make one that was truly right. I had my crumb mixture all wrong, using room temperature butter instead of melted butter, and never having the right ratio of dry to wet for it. All things vanilla and cinnamon hold a place in my baker’s heart, as I’m not too big of a chocolate fan. 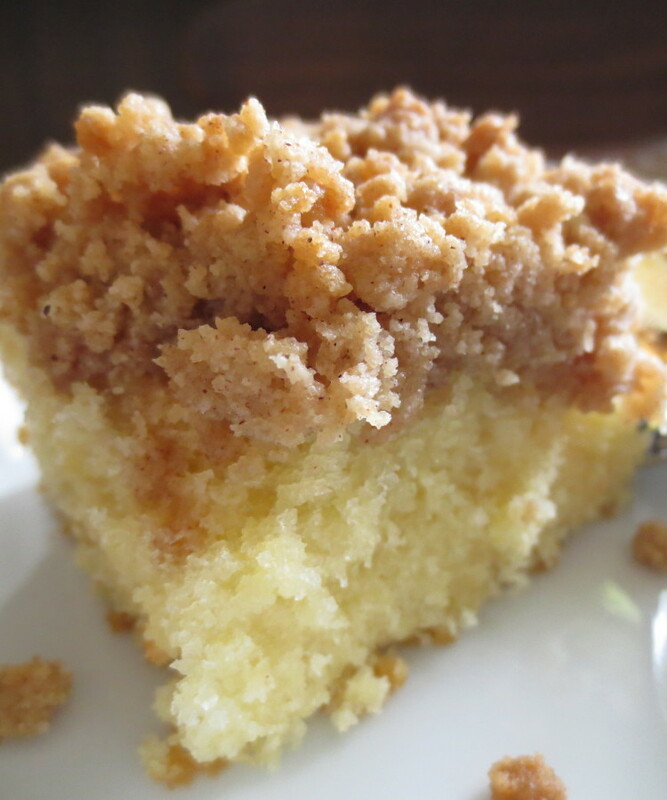 This cake recipe is buttery and moist, and the crumb is a perfect cinnamon touch to save you a trip to the nearest coffee house. I won’t claim this is anything healthy, but it is one tasty dish. Finally, I’ve made a crumb cake I really love, and I think it looks beautiful and tastes way better than what you get in a Starbucks any day! Please feel free to oo and ahhh at my photos taken with my fantastic new camera that makes me feel like a better blogger all the time! Mix all the ingredients together until smooth, about 1 to 2 minutes. Pour into a greased 8×8 cake pan. Preheat oven to 350. Mix together the flour, brown sugar, and a cinnamon. Pour the melted butter over dry mixture, and stir until combined. Should form large crumbs fairly easily once fully combined. Pour the crumbs evenly over the cake batter. Bake for 30-35 minutes, or until an inserted toothpick comes out clean. Cool slightly before serving.